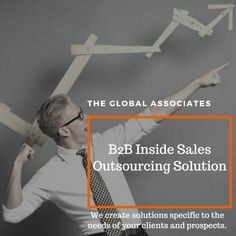 It is the constant endeavor of B2B lead generation companies to help their clients grow their businesses by boosting lead generation in India. New strategies are devised and latest technologies adopted to achieve this objective with varying degrees of success; however, several factors have made B2B lead generation in India an uphill task in the recent years. It’s becoming increasingly difficult for lead generators to create quality leads in good numbers despite their best efforts. One must try and understand these factors first of all in order to counter them and achieve greater success. Three main factors that have made the difficult job of generating fresh leads even more difficult are discussed below. One of the main reasons why lead generators are finding it so difficult to survive today is the effect of the continuing economic slowdown. Even though things are getting better, the pace is very slow and most companies are still forced to operate on shoestring budgets and many of their intended projects are stalled. This makes lead generation a very challenging task; one has to convince the prospect that their solution would be worth the money the prospect spends despite their budget constraints. Scores of new B2B lead generation companies are mushrooming across the world each day despite the gloomy scenario, intensifying competition and making things even worse. Use of new tools and latest technology is imperative, increasing the operational cost that doesn’t bring any relief for the companies. You have to be the best in the field in order to stay on top and not just try and survive the hard times. Using innovative strategies without increasing the cost too much is the real challenge for the lead generators. The twenty-first century customer is much more informed than his predecessor a few decades ago. The internet revolution enables him to have all the needed information at his fingertips. A sales person has to be a step ahead of the prospect to convince them that buying their service/ product would help them increase their productivity and save or earn more money. This is certainly not a child’s play and makes their task more difficult than ever. Boosting lead generation in India in the present scenario is definitely a very challenging assignment but success can be achieved by adopting effective and inexpensive strategies. Giving the customer’s needs and requirements top priority is really the first step in that direction.